ESE Ltd are able to offer a full range of new and fully re- engineered Distribution Transformers. These can be Oil Cooled, Midel, Air or Cast Resin ranging from 50KVA up to 100MVA with a primary voltage up to 145,000 Volts. We carry stocks of EU Directive compliant Ground Mounted Liquid Fi lled and Cast Resin units, as well as Pole Mounted Transformers, ranging from 50kVA to 100 MVA, primary voltage up 132,000 Volts and secondary voltage to suit our customers’ requirements. We are also able to supply and install Tier 2 and amorphous transformers that exceed the requirements for 2021. All of the liquid filled transformers supplied by ESE Ltd have robustly welded steel tanks with standard removable panel radiators and cable boxes, suitable for air or compound. They are supplied with a lockable, off- circuit tap change switch, lifting lugs and jacking facilities, oil level indicator drain valve and temperature pocket as standard. Optional extras include Bucholtz protection, pressure relief devices and on-load tap changers. Corrugated “fin wall” type transformers can also be supplied, if required. The transformers have a powder coated, enamel-look finish of at least 100 microns thick, which is suitable for even the harshest environment. 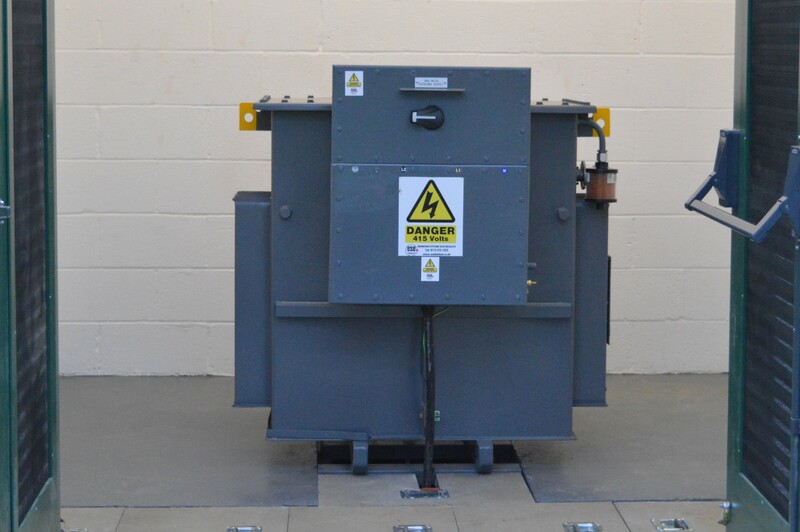 Switchgear can be directly coupled onto our transformers to form acomplete package substation. We also supply a range of cast resin transformers up to 35MVA, primary voltage of up to 145,000 Volts, with a secondary voltage again to meet our clients’ needs, along with various enclosures. Our cast resin transformers have a core made from the highest quality cold rolled, grain-oriented steel and step lap joints. The windings are completed embedded under vacuum conditions and the casting method ensures void free epoxy penetration of the inner layer and turn-to-turn insulation. The core is insulated on both sides of each lamination and protected against corrosion by a resin coating and grounded-in frame, comprising upper and lower steel channels that hold the core and coil together. All steel parts are coated with epoxy paint to guard against corrosion. ESE Ltd can also supply external cable boxes and internal gland plates, or bring the LV bus bars out onto a coupling piece that LV distribution bus bars can be connected to. We also carry a large range of fully refurbished, used distribution transformers, which come with a 24- month standard warranty. 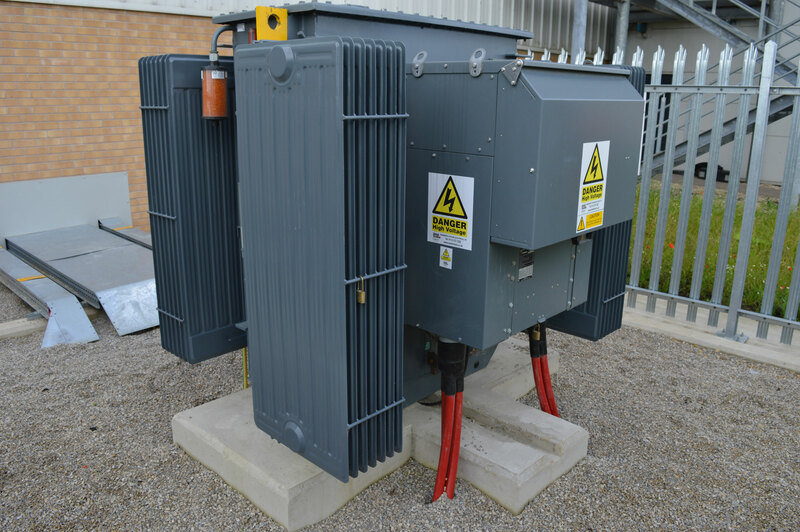 The refurbishment process for our transformers includes replacement of the insulating oil and new gaskets, as required, along with the fitting of new cable boxes. All transformers are fully sprayed to help maintain the highest quality. All transformers refurbished by ESE Ltd are fully tested, including Insulation Resistance, over pot and pressure testing and are despatched with fully completed test certification. As with new transformers, switchgear can be directly coupled onto the transformer to form a complete package sub station. We also offer a transformer maintenance service, whereby we will remove transformers from a customer’s site, transport the plant to our workshop in Leeds, fully overhaul them and re-install at the customer’s site. At ESE Ltd we offer the full turnkey solution for all your electrical infrastructure needs up to 132,000 Volts. We are an approved Independent Connections Provider (ICP) and can complete all supply and installation of all balance of plant equipment. This gives the advantage of a complete electrical distribution package all under one roof.